The universal language of flowers crosses any cultural boundaries, interpretations or meanings. The feng shui use of flowers as a symbol is based on the same universal feeling that flowers evoke in all humans — a feeling of beauty, grace and a delicate, alive sensuality. Live flowers are always the premier choice for your home as they bring a strong healing energy; but images of flowers or high quality silk flowers are often used in feng shui too. In addition to the energy of beauty and grace, flowers also bring good luck, numerous blessings and quality of chi to any home. In feng shui, attention is often paid to colors and numbers as well as the symbolism of specific flowers. The descriptions of the most popular flower symbols as used in feng shui applications are as follows. One of the most sensual flowers with a delicious scent, the peony has long been used in feng shui as a cure for love and romance. This especially applies to a couple of pink peonies. 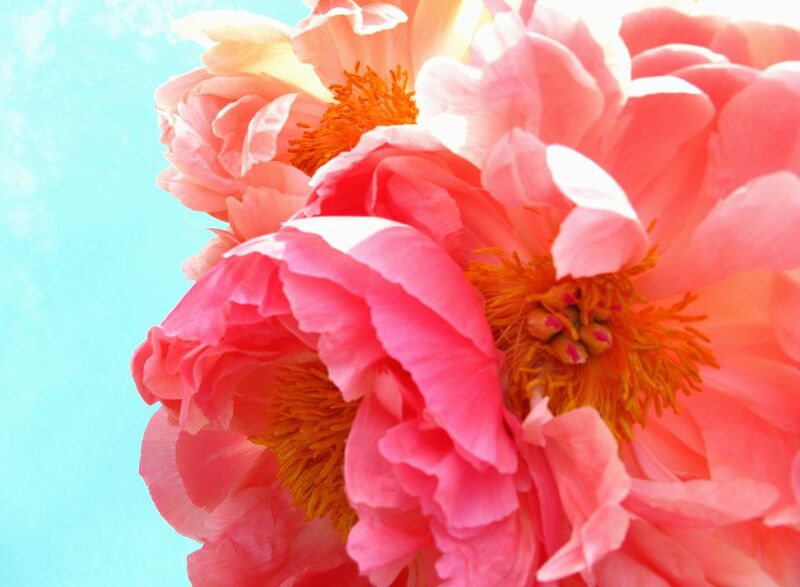 The peony is often considered a metaphor for female beauty. In fact, some feng shui masters do not recommend having the image of a flowering peony in an older couple's bedroom in order to prevent affairs with younger women. The lotus flower symbolizes the ultimate perfection; its purity is untouched by the mud from which it originates. In Chinese medicine, every part of the lotus plant, from roots to petals, has medicinal properties, thus making this symbol an even more potent feng shui cure for a healthy and harmonious home. The blossoming flowers of cherry, as well as apple, dogwood, peach or other similar trees have always been used to bring the energy of new beginnings — a sense of freshness and innocence. Most often the image of cherry blossoms is used as a love and marriage cure, but can also be used as a feng shui cure for health. This beautiful flower is long considered a classical feng shui symbol of fertility. As the orchid brings the energy of an untainted natural symmetry, it has also become a symbol of a quest for perfection in any areas of one's life. Abundance, perfection, spiritual growth, beauty and purity — with such powerful universal symbolism attached to it, no wonder orchids have become a very popular house plant in the West! In Chinese culture, the structured energy of the narcissus flower is believed to bestow the flowering of one's career, talents and abilities. It is often used as a feng shui career cure, believed to help one receive proper rewards for his or her hard work. White color narcissus is used more often in feng shui career applications versus the yellow one. The feng shui symbol of a chrysanthemum flower is one of a life of ease and balance. At the same time, this flower is considered to have strong yang energy, so it is used to attract good luck to you and your home. Be it fresh flowers from your garden or from the market, a flower painting or a photo, you will surely create good chi once you start using flowers in the feng shui of your home.